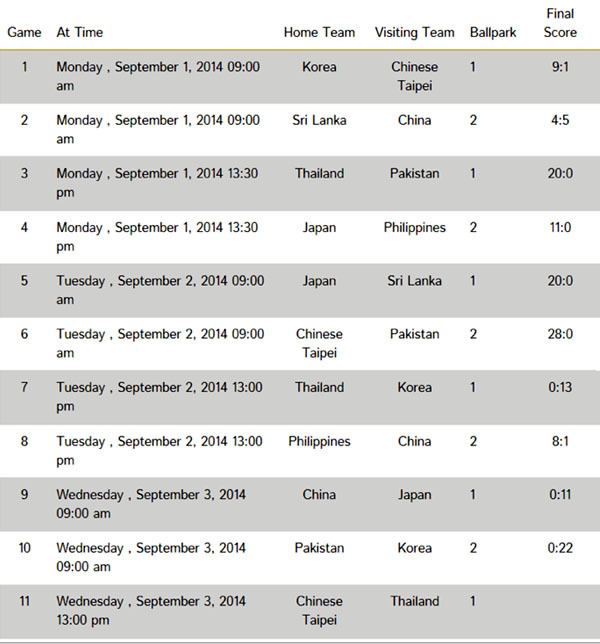 8 teams from China, Chinese Taipei, Japan, Korea, Pakistan, Sri Lanka and Thailand compete in the Asian Championship at Queen Sirikit Baseball Field, Pathumthani Province from September 1st to 6, 2014. 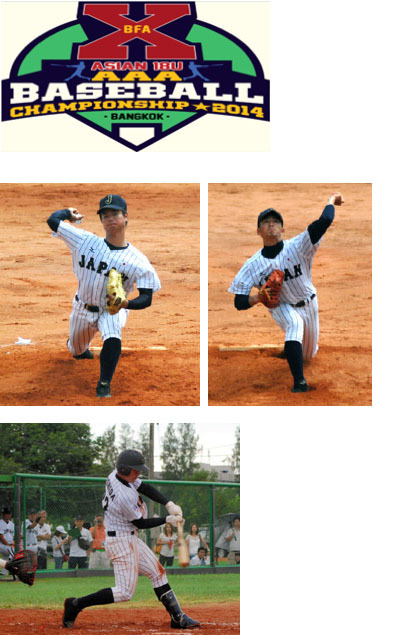 Team Japan won the first game against Philippines 11-0 in 7 innings with 3 hits by Kishida (photo), the second against 20-0 against Sri Lanka by pitchers Yamashiro and Kojima (photos) in 5 innings and the third against China 11-0 in 7 innings. President Tom Peng of Baseball Federation of Asia, President Vutichai of Amateur Baseball Association of Thailand and Dr. Chant. Obama Jevon delivered speeches at the opening ceremony followed by colorful fireworks.